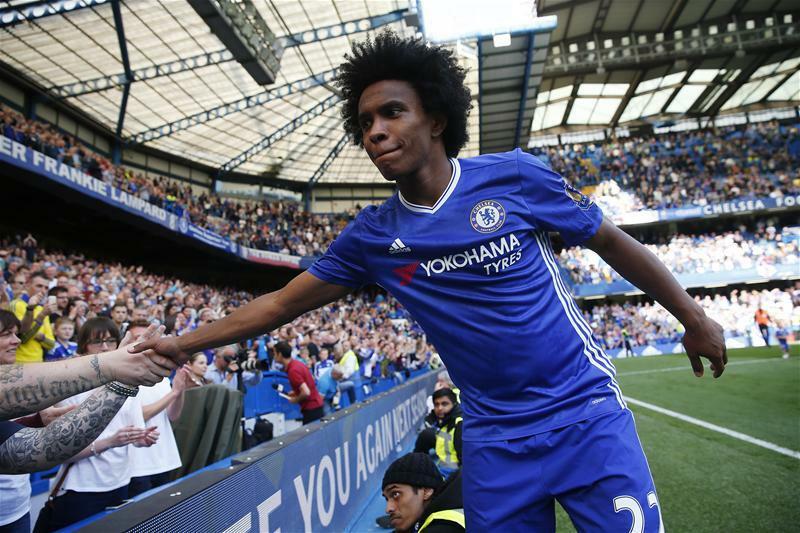 Manchester United are lining up a summer bid to sign Willian from Chelsea, according to ESPN, as quoted by Metro. The Red Devils are considering a swoop for the 29-year-old midfielder as the doubts about Anthony Martial’s long-term future at the Old Trafford continue. He is being linked with a possible move to Serie A champions Juventus this summer. The report goes on to claim that the 20-time English champions tried and failed to sign Willian last summer. United boss Jose Mourinho has already insisted that he is not planning to land more attacking players this summer, however, the question marks about Martial’s future at the club could prompt the Manchester giants to make a move for Willian. United are likely to be linked with a number of players in the coming months as Mourinho looks to strengthen a squad capable of winning the Premier League title next season.